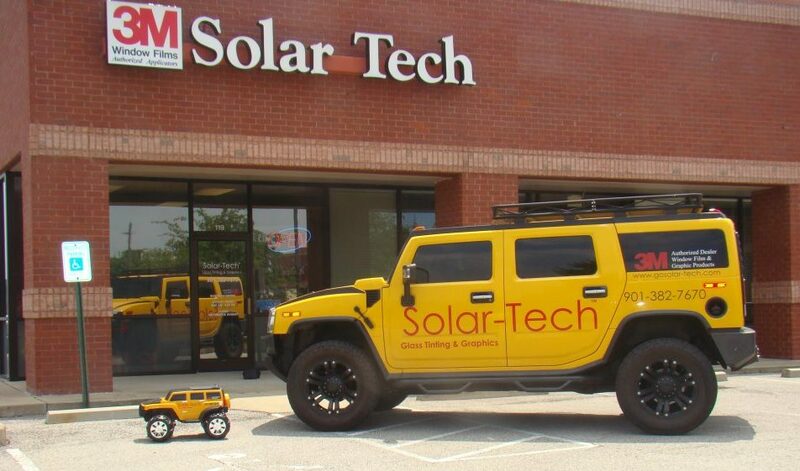 SolarTech offers more than 40 years of experience delivering superior quality window film, print vehicle graphics, wayfinding signage and architectural finish products to commercial and residential customers throughout the U.S.A. and Canada. As a Preferred 3M Window Film Dealer, SolarTech specializes in window films for home and office that cut glare, reduce energy costs, enhance safety and security, and add a level of privacy and decorative appearance to any residential or commercial property. SolarTech solar window films are designed to keep your home or office cool in the summer and warm in the winter and are guaranteed to be fade resistant, while our safety and security window films provide an increased layer of protection to any home or office building. The superior performance of these residential and commercial window films can reduce liabilities and injuries from flying shards of glass and protect your property from wind, rain and other natural elements. For interior office spaces, SolarTech decorative window films help express your brand at a fraction of the cost of etched glass. These decorative and frosted window films for home and office are available in a variety of textures to compliment conference rooms, glass partitions and doors, and can add a layer of privacy to any setting as well. SolarTech offers full-service custom signage, including large format digital graphics, vehicle wraps, custom interior and exterior signage, and wayfinding signage. SolarTech’s commercial signage experts work with all surfaces, including walls, windows, floors, brick and concrete, and can design solutions to get your company’s brand message out at the right time, in the right location, and in the most effective way possible. We take your brand personal. And our custom vehicle graphics team specializes in designing and installing vehicle wraps and automotive window films for fleet vehicles, as well as individual cars and trucks. SolarTech architectural finishes, like our Belbien and 3M DI-NOC architectural finish lines, offer an innovative new way to alter interior and exterior design for new construction and remodeling at a fraction of the cost. Available in a variety of natural and synthetic finishes, including wood, granite, marble and stucco, our architectural finishes provide durability and ease of installation that make them the first choice in residential and commercial remodeling and new construction. Get your brand noticed! Contact us today.